With the old hegemon, the US, depleting fast its energies by fomenting un-necessary conflicts, picking up imaginary enemies, and thus reaching the stage where hegemonic-fatigue becomes inevitable and the threat of extreme crisis more likely than ever, the rise of powerful counter-hegemon becomes inevitable to prevent the Armageddon. The rise of the BRICS-plus indicates the very making of the counter-hegemon that the world at large needs very much to not only to pave the way for an international system and world order that, on the one hand, limits the old hegemon’s ability to manipulate and dominate, and on the other, works as a necessary tool to prevent crisis that otherwise wouldn’t be necessary. 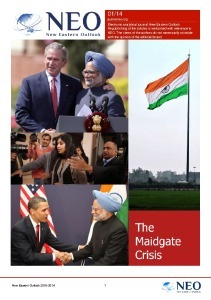 This was precisely the message given to the world at large in the latest BRICS summit held in South Africa: unilateralism, of which the US has been a champion since the Second World War, is an outdated way of conducting global politics in both economic and strategic terms and that multi-polar world is what defines today’s global system. And, if such trends of unilateralism were to be arrested and chaos was to be avoided, a new logic of international practice was certainly needed. Xi confirmed this when he added that the BRICS are already working for “a new type of international relations”—something that has already become inevitable in the wake of the crisis that the old hegemon has repeatedly led the world to. Xi’s reference to a new type of international relation threw a spark at the on-going US-China trade war also, where a super-power behavior like that of the US vis-à-vis China wouldn’t be acceptable or even possible. The vision, in simple words, is to build what Xi called a “network of closer partnership” not only within BRICS but also outside it by expanding the trade landscape to other emerging markets, creating thus the BRICS-plus and the BRICS-plus cooperation with other regional groupings such as SCO, African Union, EAEU and BIMSTEC. 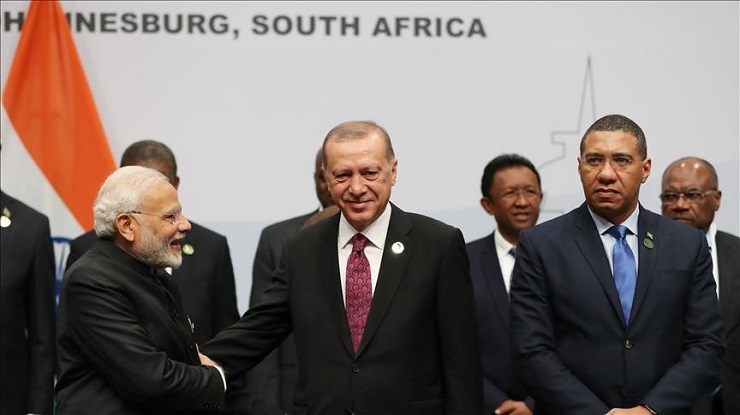 An important emerging market that was conspicuously present at the South Africa summit was Turkey, NATO’s second biggest military power but currently at odds with the organization’s Russia policy. Turkey’s search for expanding its relations beyond the by-now-dead dream of integration with EU is providing the necessary impetus to build its own network of economic relations; hence, Erdogan’s call on BRICS countries to accept Turkey and change BRICS into BRICST. Turkey’s more-than-willing shift is also due to the un-ending heat in the Middle East. While Turkey cannot change its territorial location, it can still link its markets with countries where its economy will be less susceptible to geo-political upheavals and might be able to perform better. The mounting Iran-US crisis has only added to Turkey’s concerns—and this crisis is unlikely to end any time soon. Major BRICS countries, China and Russian, are opposed to a US-Iran escalation, and there is no doubt that they will be on Iran’s back in case of an escalation. Iran, which is already being seen as an un-named BRICS-plus nation, is not only deeply integrated with Russia and China in geostrategic and economic terms, but also is a key-player that has facilitated and will continue to facilitate these countries’ presence in the Middle East. Therefore, if a war, military and economic, breaks out between the US and Iran, it will greatly affect both Russia and China. 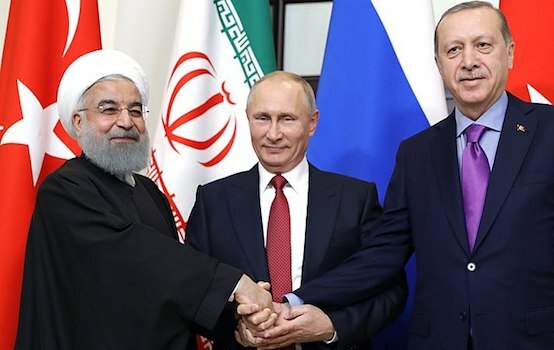 Considering that the US is already working on a new type of Arab NATO, the Middle East Strategic Alliance, to counter Iran’s role in the Middle East, the logic of BRICS-plus with Iran, as also Turkey, as its future partners becomes even more understandable. While the BRICS-plus with Iran and Turkey as it members will see its expansion into the Middle East and Europe, such an expansion will only be very much in line with the objectives laid out in the latest summit whereby a “unified platform of regional integration arrangements,” going way beyond regional deals to reach other developing nations in a transcontinental scope, is to be established as a part of new form of international relations. This means that the economic networks emerging out of BRICS-plus will not simply be confined to the member countries. In fact, the BRICS-plus will become a platform, a grouping, to connect with other regional groupings within the global South. Already being defined as the most “extensive platform for South-South cooperation with a global impact”, BRICS-plus is thus being set-up to lift the global south to a level whereby the US-led global north’s unilateralism would end up becoming a self-defeating way of conducting politics at global level. In the presence of a big counter-hegemon, the old hegemon will be effectively restrained and the victims of unilateralism insulated to a great extent.